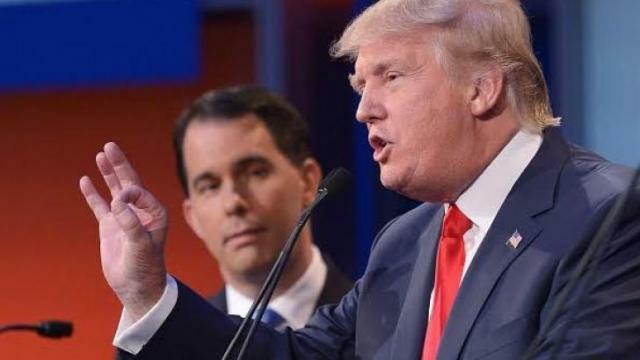 Walker, who abandoned his own presidential campaign in September, was in Chippewa Falls Tuesday, December 8th where he told WQOW-TV that the country’s founding principles are based on protecting religious liberties, so he disagrees with Trump’s proposal. “I think we need to remember that our founding principles were based in part on protecting religious liberties, and so I disagree with him on that. I think we shouldn’t be distinguishing people based on their religious beliefs,” Walker said. Trump’s rival Republican presidential candidates, along with House Speaker Paul Ryan and other leaders in the GOP, described Trump’s remarks as out of line, un-American and dangerous. Legal experts say the idea is both unconstitutional and unworkable. "I do not think a Muslim ban is in our country's interest. I don't think it is reflective of our principles, not just as a party but as a country," the Wisconsin Republican said at a House GOP press conference. "I think the smarter way to go in all respects is to have a security test, not a religious test." Unsurprisingly, Wisconsin's two leading feckless weasels are now squeaking another tune. Walker had been silent on the ban issued Friday until his spokesman released a statement Monday afternoon. Walker says, "This is a safety issue. A resettlement program to help refugees is compassionate and one that I support, but we should ensure we are doing everything possible to put the safety of our citizens first." But on Friday, Ryan voiced support for Trump's order announced this week, praising the president for taking the issue of immigration seriously. “President Trump is right to make sure we are doing everything possible to know exactly who is entering our country,” the Speaker said. Just so the gentle reader doesn't get whiplash trying to keep up with their morphing positions, don't be surprised if they flip flop once again, when their masters, the Koch Boyz, swat them on their snouts with a rolled up campaign donation. The one thing that neither Walker or Ryan are feckless about is obeying the ones with the most money.